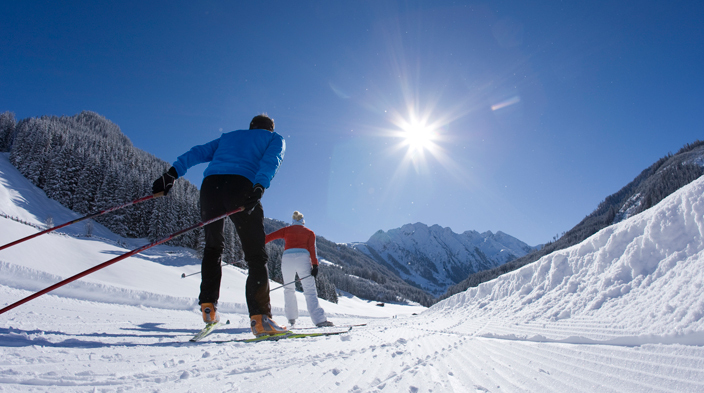 Skiing, snowboarding and cross country skiing in the Zillertal. 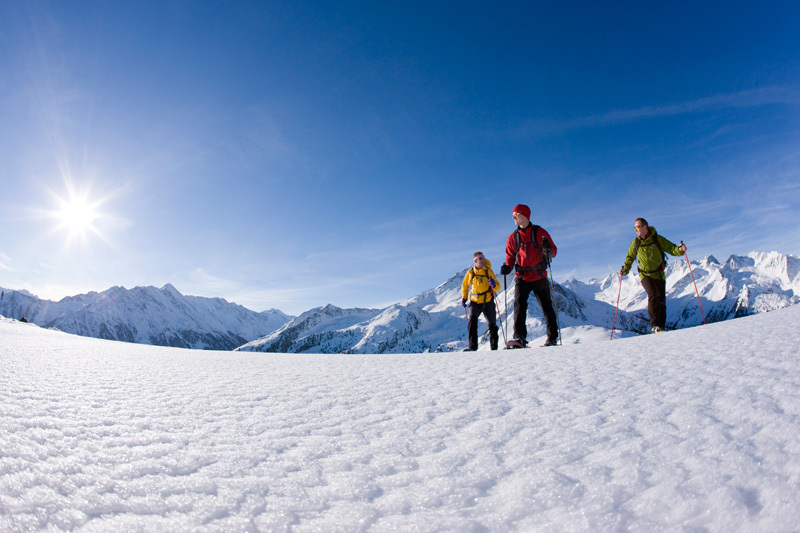 Combine active hours on the pistes and slopes with romantic hours; during a winter hike or a cross country skiing tour you will discover the snow covered fairytale landscape: a true winter wonderland in the Austrian Alps! 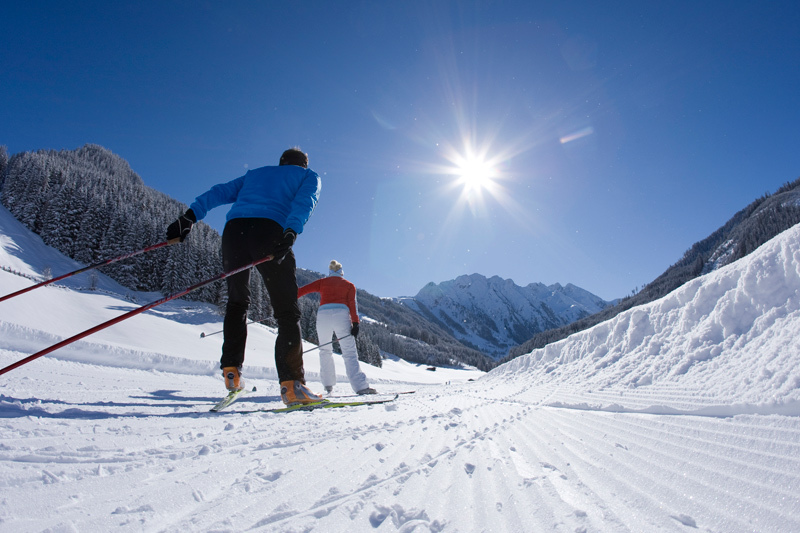 159 km of slopes await skiers and snowboarders on the slopes of Mayrhofen. 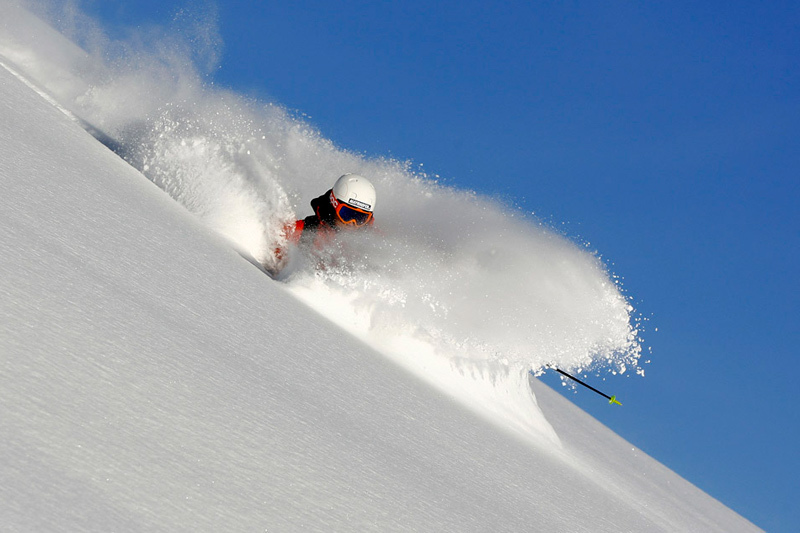 From easy, medium to difficult - the choice of pistes is vast. 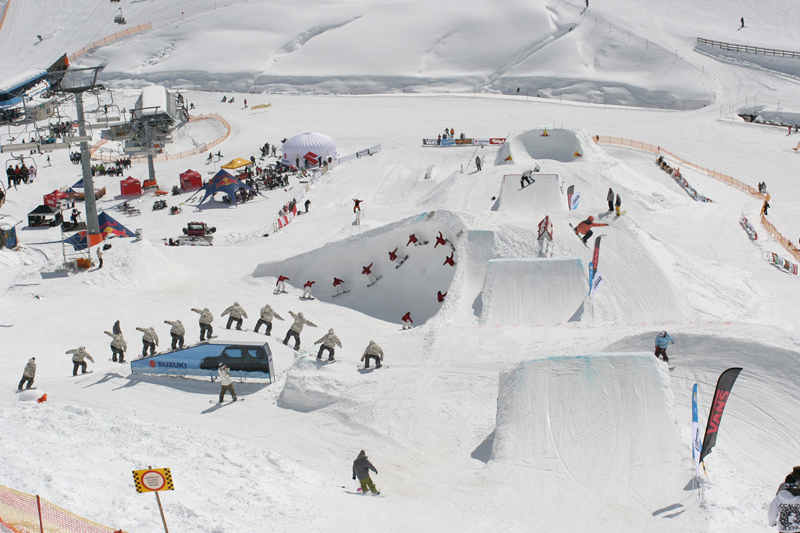 The steepest piste is the "Harakiri" with a gradient of up to 78%! Several professional Funpark shapers are at work daily to maintain optimum conditions. This is also the only Park with its own 4 seater chair lifts that are conveniently designed to be as long as the Park itself. 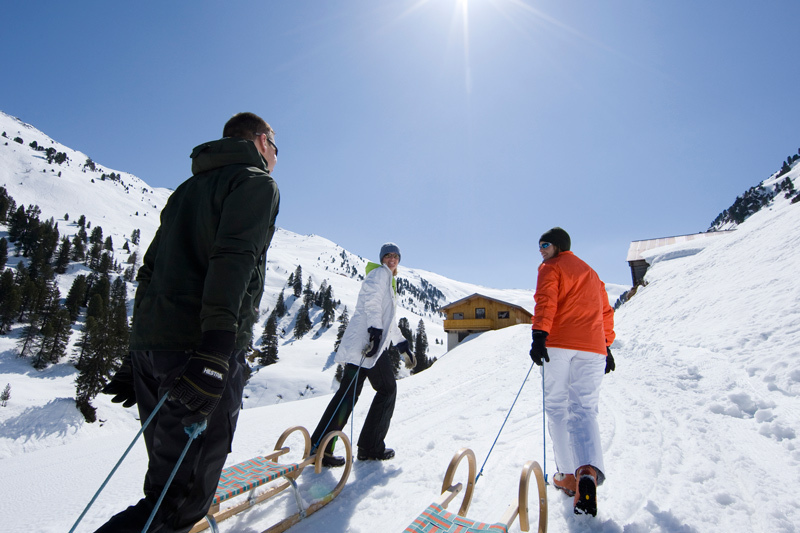 A fast and furious fun on a toboggan run is part of winter holidays in Zillertal. The natural toboggan run Wiesenhof starts at 1.560 altitude. 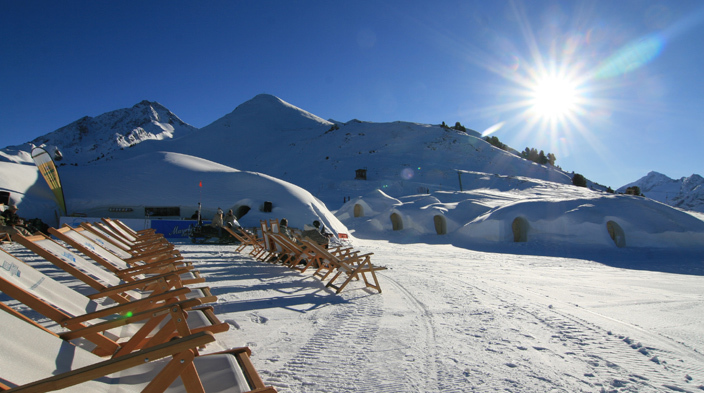 Toboggan rentals in Mayrhofen. 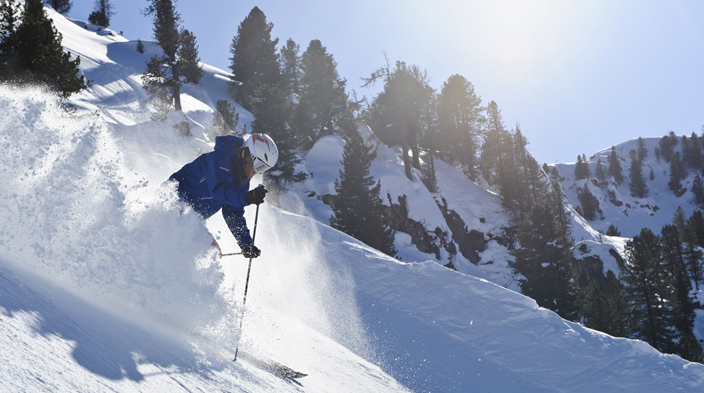 Experience the winter with one of the many ski tours in the Zillertal at its best. 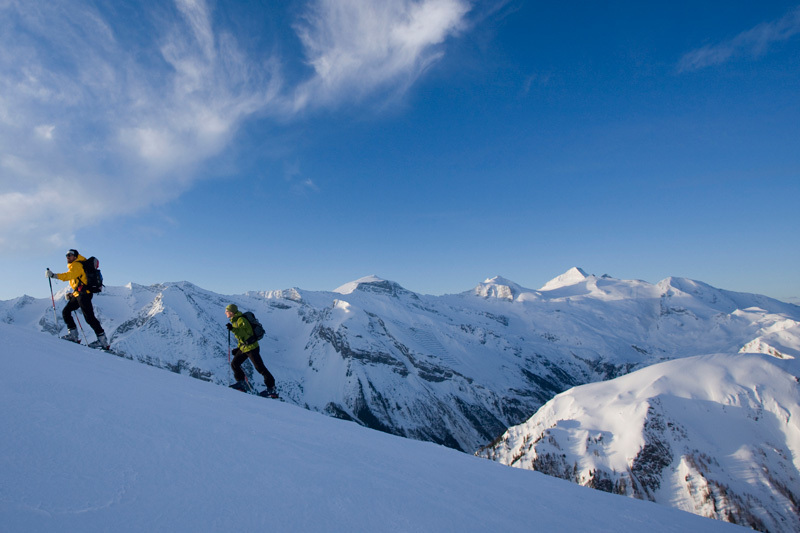 Breathtaking deep-snow slopes and magnificent views of the majestic mountain world await you. Discover untouched winter landscapes that sparkle like a sea of diamonds. Tours are offered in various levels of difficulty, enabling guests of all fitness levels to get a taste of this extraordinary experience.